Question: I am being taken to court by a collection agency law firm for a debt that I have disputed several times. I was first sent a letter that said there was no record of the debt. Two years later, 8 mos. after disputing with the lawyers, I finally received a copy of the loan paperwork. It did not say directly that it was a credit card. I was told it was a bank loan. None of the companies responded within the 30 day period for providing debt validation. What are my options? Answer: Disclaimer: I am not an attorney; the response offered is for informational purposes only. I strongly suggest you seek proper legal advice. At this point the issue of when you received debt validation is irrelevant. Besides, the Fair Debt Collection Practices Act does not give a time limit on when a debt collector must respond to a debt validation request. The 30 day period pertains to you. The FDCPA says the initial written notice the debt collector sends you must contain a statement that the consumer has 30 days after the receipt of the notice to dispute the validity of the debt. This basically means you have 30 days to request debt validation. It gives no mention of the debt collector responding within a particular timeframe. Hopefully you have answered the lawsuit. There is a limited time to answer a lawsuit, typically 20-30 days from the day you were served. Now is not the time to quibble about debt validation. You must understand that most debt collection lawsuits are won by the debt collector because consumers do not answer the lawsuit. Debt collectors are hoping you take no action to defend yourself which means they automatically win. Answer the lawsuit by the due date. The lawsuit likely has several reasons why it would be dismissed and you may prevail. First, the debt collector probably purchased the debt which could mean they do not have proper evidence to prove the allegations listed in the complaint against you. Even the alleged debt validation documents offered to you may not hold up in court. It can be argued the loan document presented to you is hearsay which can get them struck from the record. The rules in your state may prohibit evidence made by out-of-court witnesses. It can be argued the loan document offered is a written statement by an out-of-court witness to prove the truth of the matters asserted in the lawsuit. In this instance the court may require a witness from the original bank authenticate the document to show the documents were created in the regular course of business; the banks normally made those types of documents; the document creator had a business duty to create them; and the documents were created in a timeframe of when the transaction took place. 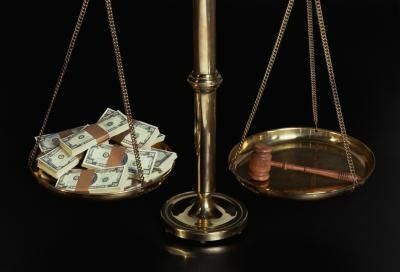 The courts look at what some refer to as “chain of custody” or “chain of title.” If a debt collector is asked to provide evidence they own the debt and they cannot; then the case might be dismissed. The debt collector must first establish they own the debt or what some would refer to as “proof of custody” before they can address the issue of your liability for the debt. There is a good article about a law firm getting a $ $31,578 credit card lawsuit dismissed because the debt buyer could not prove they had legal standing to hold the debtor liable. There is another good article where the court tossed the debt collector’s lawsuit because they could not vouch for the accuracy of the electronic records it presented as evidence. Another issue that can be addressed now that a lawsuit has been filed against you is the amount of debt. The loan agreement probably only identifies the terms of the loan. The loan agreement typically does not contain an accounting of any payments made, the dates on which those payments were made, the interest which accrued, or any late fees which were assessed when the loan went into default. The legal process of discovery can request specific information the debt collector probably does not have in their possession. It gets much harder for a debt collector to prove you owe a debt in the legal system. In summary I think your only options are to: (1) respond to the lawsuit with an answer and fight the battle in court; (2) ignore the lawsuit and allow the debt collector to win by default; or (3) settle the matter out of court. You can probably tell I am on team consumer – fight the battle in court. The best of luck to you.